Can Muslims Integrate Into Western Societies? On 5th December 2012 a VIP reception was held at the Bait-ur-Rasheed Mosque in Hamburg, Germany, in which Hazrat Mirza Masroor Ahmadaba, Khalifatul Masih V, Head of the worldwide Ahmadiyya Muslim Community delivered a keynote address regarding the integration of Muslims in the West. Amongst the attendees were the Second Lord Mayor of Hamburg, Ms Christa Goestch of the Green Party, the President of the Police in Hamburg, Wolfgang Kopitzsch, the Speaker of the Socialist Democratic Party for Integration in Hamburg, a Member of the Provincial Assembly, Kazim Abachi, a Member of the National Assembly, Serkan Toren and Dr. Khalifa from the University of Hamburg amongst other prominent dignitaries, academics and professionals. “Bismillahir-Rahmanir-Raheem – In the Name of Allah, the Gracious, Ever Merciful. All distinguished guests – Assalamo Alaikum Wa Rahmatullahe Wa Barakatohu – peace and blessings of Allah be upon you all. First of all I would like to express my gratitude to all of the guests who have accepted our invitation to attend this event. Many of you are well-acquainted with our Community or have old ties of friendship with Ahmadi Muslims; and I am sure that those of you who have only recently been introduced to the Ahmadiyya Community will have already developed a keen desire in their hearts to learn more about the Jama’at. The attendance of all of you proves that you believe that no danger or threat lies in meeting and keeping contact with Ahmadis Muslims and going to their mosques. The truth is that in today’s climate, where the majority of news and reports about Islam are extremely negative, those of you who are non-Muslims could easily have developed a concern that by visiting an Ahmadi Mosque it could lead to difficulties or even cause you a great deal of harm. However, as I said, the fact that you are attending this event proves you have no fear of Ahmadi Muslims and do not consider them to be a threat. It shows that you value Ahmadis and believe them to be sincere and decent people just like yourselves and the majority of the population. Whilst saying this, I do not discount the possibility that there may be a small number of you who, in spite of coming today, still continue to harbour reservations or concerns that there could be some negative consequences of attending. It is possible you may be worried that you will be sat alongside people with extremist tendencies or mind-set. If any of you do hold such fears you should remove them from your hearts immediately. We are extremely vigilant in this regard and so if by chance any such extremist person tries to enter this mosque or our area, we will take firm action to remove them from the building. So be sure you are in safe hands. Indeed, the Ahmadiyya Muslim Jama’at is a Community in which if any member at any time or place displays extremist tendencies, breaks the law or destroys the peace, they are expelled from the Jama’at (Community). We are duty bound to take such firm action because of our absolute respect for the word ‘Islam’ which literally means ‘peace’ and ‘security’. The true representation of the word ‘Islam’ is demonstrated by our Community. The advent of this true depiction of Islam was actually foretold in a grand prophecy made by the Founder of Islam, the Holy Prophet Muhammadsa, more than 1400 years ago. In the prophecy, the Holy Prophetsa said that a time would come when the vast majority of Muslims would forget Islam’s real and pure teachings. According to the prophecy, at such a time Allah would send one person as a Reformer, a Messiah and a Mahdi in order to re-establish true Islam in the world. We, the Ahmadiyya Muslim Jama’at, believe the Founder of our Community, Hazrat Mirza Ghulam Ahmadas of Qadian to be the very person sent in fulfilment of the great prophecy. With the Grace of Allah this Community has flourished and has spread to 202 countries of the world. In each of these countries, local people of all backgrounds and ethnicities have accepted Ahmadiyyat. Apart from being Ahmadi Muslims, they continue to play their roles as loyal citizens of their respective countries. There lies no contradiction or conflict between their love for Islam and their love for their country. In fact, both of these loyalties are intertwined and linked together. Ahmadi Muslims, wherever they reside, are the most law-abiding citizens in the entire nation. Certainly, I can say without a shadow of doubt that these qualities exist in a good majority of members of our Jama’at. 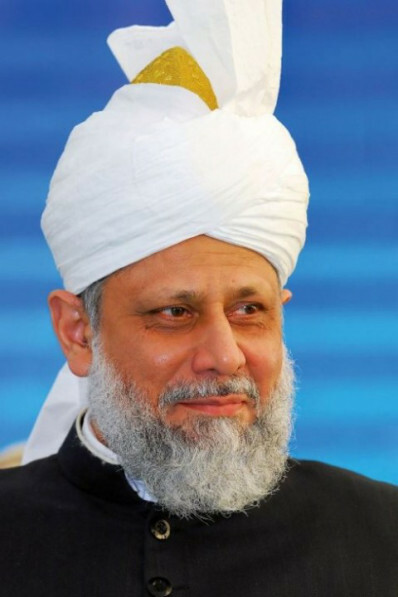 It is due to these attributes that whenever Ahmadi Muslims migrate from one country to another, or in the case where local people have converted to Ahmadiyyat, the Ahmadis never have any concerns about integrating into their new societies; nor do they worry about how they will play their role towards furthering the wide scope of the national interests of their adopted nations. Wherever Ahmadis go they will love their countries like all true citizens should and will spend their lives actively seeking the betterment and progress of their nation. It is Islam that teaches us to live our lives in this way, and indeed it does not just gently advocate this, but actually commands us to be absolutely loyal and devoted to our country of residence. Indeed, the Holy Prophetsa particularly emphasised that love for one’s nation is a part of faith for any true Muslim. When loving your country is a basic element of Islam, how can any true Muslim exhibit disloyalty or betray his nation and thereby forgo his faith? In terms of Ahmadi Muslims, at our major events all members of the Community, whether they are men, women, children or the elderly, stand up and make a pledge taking God as their witness. In that pledge they promise to give up their lives, wealth, time and honour not just for their religion but also for the sake of their nations and countries. Therefore, who could prove to be more loyal citizens than those people who are constantly reminded to serve their nation and from whom a pledge is repeatedly taken to be ever-ready to make all sacrifices for the sake of their faith, country and nation? The question may arise in the minds of some people that here in Germany, the majority of Muslims come from Pakistan, Turkey or other Asian countries, and so when the time comes to make sacrifices for their nations, they will prefer their countries of origin, rather than Germany. Thus, I should clarify and explain that when a person acquires German nationality or the nationality of any country, then he becomes a full citizen of that nation. I made this very point earlier this year when I delivered an address at the German Military Headquarters, in Koblenz. I explained, according to Islamic teachings, what should happen if a situation arises whereby Germany is engaged in a war with the country of origin of an immigrant who has become a German citizen. If the immigrant feels sympathy towards his original country and thinks there is a risk of him desiring or causing harm to Germany, then such a person should immediately relinquish his citizenship or immigration status and return to his native country. However, if he chooses to remain, then Islam does not permit any form of disloyalty to the country whatsoever. This is an absolute and unequivocal teaching. Islam does not permit any form of rebellious behaviour, or for a citizen to scheme against his nation—whether adopted nation or otherwise—or to harm it any way. If a person does work against his adopted nation or causes it harm then he should be treated as an enemy of the state, a traitor and be punished according to the laws of the land. That clarifies the situation in terms of a Muslim immigrant. In the case where a local German or a person of any country, who has converted to Islam, it is perfectly clear that for him or her, there can be no other path than to display absolute loyalty to his or her great nation. Another question sometimes asked is: what action should Muslims who live in the West take when a Western country engages in war with a Muslim nation? To answer this I should first of all mention that the Founder of our Community, the Promised Messiahas, has explained that we are now in an era where religious wars have completely come to an end. During the course of history there were times when wars and battles took place between Muslims and the people of other religions. During those battles the goal of the non-Muslims was to kill the Muslims and end Islam. In most of the early wars, the non-Muslims took the first aggressive steps and so the Muslims had no choice but to defend themselves and their religion. However, the Promised Messiahas explained that such circumstances no longer exist, because there are no modern day governments who are declaring or waging war in an effort to end Islam. To the contrary, there is a great deal of religious freedom in the vast majority of Western and non-Muslim countries. Our Jama’at is extremely grateful that such freedoms exist, which allow Ahmadi Muslims to propagate the message of Islam in non-Muslim countries. Therefore we are able to introduce the real and beautiful teachings of Islam, which are of peace and harmony, to the Western world. Certainly, it is due to religious freedom and tolerance that I am able to stand before you today and present the true Islam. Clearly therefore, today there is no question of religious wars. The only other situation that can arise is where a majority Muslim country and a majority Christian country, or any other country, are engaged in a non-religious war. How should a Muslim citizen living in those countries, whether Christian or any other religion, react to such circumstances? To answer this question, Islam has provided a golden principle, which is that a person should never assist in cruelty or oppression. Therefore, if cruelty or oppression is perpetrated by a Muslim country then it should be stopped. If cruelty is conducted by a Christian country then that too should be stopped. How can an individual citizen stop his own country from cruelty and injustice? The answer to this is very simple. In the present day, democracy is prevalent throughout the Western world. If a just minded citizen sees that his government is acting in an oppressive way, then he should raise his voice in opposition and seek to guide his country to the right path – or even a group of people can rise up. If a citizen sees that his country is violating the sovereignty of another nation, then he should draw the attention of his government and raise his concerns. To stand up and peacefully lodge your concerns is not an act of rebellion or revolt. In fact, it is an expression of true love for your country. A just citizen cannot bear to see the reputation of his country being tarnished or even disgraced amongst the international community and so by calling his country to account he is manifesting his love and loyalty towards it. As far as the international community and its institutions are concerned, Islam teaches that where a country is unjustly attacked, other nations should unite and seek to stop the aggressor. If the aggressive nation comes to its senses and withdraws, then cruel punishments and unjust decisions should not be imposed upon it in revenge or as a means to take advantage of the situation. Therefore, Islam provides the answers and remedies to all possible situations. The essence of Islamic teachings is that you must spread peace, to the extent that the Holy Prophetsa has defined a Muslim as a person from whose hand and tongue all other peaceful people are safe. As I have already said, Islam has taught that you must never assist in cruelty or oppression. It is this beautiful and wise teaching that leads a true Muslim to hold a position of honour and dignity within whichever country he lives. There is no doubt that all sincere and decent people would wish to have such peaceful and considerate people within their societies. The Holy Prophet Muhammadsa has given Muslims another beautiful teaching to live their lives by. He taught that a true believer should always search for anything that is good and pure. He taught that wherever a Muslim comes across a word of wisdom or anything noble, he should treat it as his personal inheritance. Thus, with the same determination that a person seeks to acquire his rightful inheritance, Muslims are taught they should strive to obtain and benefit from wise counsel and goodness wherever it may be found. At a time when there are so many concerns about the integration of immigrants, what a beautiful and perfect guiding principle this is. Muslims have been taught that in order to integrate with their local societies and develop mutual respect, they should seek to learn about all of the good aspects of every society, every region, every city and every country. It is not enough to simply learn about such values, but Muslims must endeavour to adopt them into their own personal lives. This is guidance that truly inculcates togetherness and a spirit of mutual trust and love. Indeed, who can be more peace loving than a true believer, who apart from fulfilling the requirements of his faith, also tries to adopt all of the good aspects of his or any other society? Who can spread peace and security more than him? Due to the means of communication available today, the world is now known as a global village. This was something that the Holy Prophetsa prophesised about 1400 years ago when he said that a time would come when the world would become like one and distances would appear to shorten. He said that due to the fast and modern means of communication, people would be able to see the entire world. In fact, this is a prophecy of the Holy Qur’an, which he explained at length. Regarding this, the Holy Prophetsa taught that when such a time comes, people should seek to learn and embrace the good things of one another, in the same way that they would seek to find their lost property. In other words, it can be said that all positive things should be adopted, whilst all negative things should be shunned. The Holy Qur’an has explained this commandment by saying a true Muslim is he who enjoins good and forbids evil. Bearing all of this in mind, which country or society can say that it cannot tolerate or accept for such peace loving Muslims or Islam to be amongst them? Last year I had the opportunity to meet the Mayor of Berlin and I explained to him that Islam teaches that you should treat every good aspect of any nation as though it was your own personal property. In response, he said, that if you act upon this teaching then there is no doubt the entire world will join hands and support you. I am quite astonished and saddened when I hear that in some parts of Germany there are people who claim that neither Muslims nor Islam have the capability to integrate into German society. Certainly, it is true that the Islam presented by extremists or terrorists does not have the ability to integrate with any country or society, let alone just Germany. Indeed, a time will surely come when voices of opposition to such extremist ideologies will be raised loudly even in Muslim countries. Nonetheless, the true Islam, which was brought by the Holy Prophetsa, will certainly always attract sincere and decent people towards it. In this era, to revive the original teachings, Allah sent the Promised Messiahas in servitude to the Holy Prophetsa and so his Community practices and preaches the true message of Islam. Let it be clear that no one can justifiably claim that true Islam cannot integrate into any society. True Islam is that which spreads righteousness and goodness and shuns all forms of evil and wrongdoing. True Islam teaches Muslims to stop evil and cruelty wherever it exists. Thus, rather than any question of it failing to integrate, true Islam naturally pulls society towards it like a magnet. Islam teaches that a person should not just strive to acquire or desire peace for himself, but should make full efforts to spread peace and harmony to other people with the same longing they hold for themselves. This selfless attitude is the way to establish peace in the world. Is there any society that would not appreciate such teachings and would not approve of such an approach? Certainly, a good society could never desire immorality and evil to be spread within it, and it would never oppose for goodness and peace to be promoted. When we come to define ‘goodness,’ it is possible that there may be differences in defining it between a religious person and a non-religious person. Amongst the aspects of goodness and virtue that Islam speaks of, there are two overarching virtues, through which all other forms of goodness emanate. One is the right due to Allah the Almighty and the other is the right due to mankind. Whilst there is a difference in definition in terms of one aspect between a religious person and a non-religious person, in terms of the other aspect, that is the right of mankind, there is none. The rights due to Allah relate to worship and all religions guide their followers with regard to this. In terms of the rights due to man, these are something that both religions and societies have educated mankind about. Islam teaches us in great depth and detail about the rights of mankind and so to cover all of its teachings at this time would prove to be impossible. However, I will mention a few of the important rights established by Islam, which are necessary for peace to develop within society. Islam teaches you must respect and care for the sentiments of other people. This includes religious sentiments and the feelings of others in relation to general social issues. On one occasion, in order to safeguard the religious sensitivities of a Jewish man, the Holy Prophetsa sided with the Jew after he reported an argument that had taken place between him and a Muslim. To spare the feelings of the Jewish person, the Holy Prophetsa rebuked the Muslim by saying that he should not claim that the Holy Prophetsa was superior to Moses, although he knew that he had brought the final Law-Bearing Book. This is the manner in which the Holy Prophetsa took care of the feelings of others and established peace within society. Another great teaching of Islam requires for the rights of the poor and deprived people to be fulfilled. In order to do this, it teaches that people should search for opportunities through which the social standing of the deprived segments of society can be improved. We should seek to help the disadvantaged in a selfless manner and should never exploit them in any way. Unfortunately, in today’s society where projects or opportunities are created to apparently ‘help’ the disadvantaged, they are often based on a system of credit where the repayment is subject to interest. For example, students are often given loans to help them complete their education or people take loans to start businesses, yet it takes them years or even decades to repay them. If after years of struggle, or an economic crisis strikes, then they can end up at the original level of debt or quite possibly in an even worse financial state. We have witnessed or heard about countless examples of this during the past few years, when many parts of the world have been plagued by a financial crisis. An allegation commonly made against Islam is that it does not treat women in a fair or equal way. However, this allegation is without any foundation or basis. Islam has given women dignity and honour; I give one or two examples. Islam gave a woman the right to divorce her husband due to wrong behaviour, at a time when women were considered merely a possession or chattel. It is only in the past century that in the developed world this right has been properly established for women. Furthermore, Islam gave women the right to inherit at a time when women were deemed to have no status or worth. This right has also only been granted to the women of Europe in relatively recent times. Islam also imparts a right to one’s neighbours. The Qur’an gives detailed guidance about who constitutes your neighbour and what their rights are. Neighbours include those who sit next to you, the houses nearby, including those who you know and even those who you do not know and, in fact, it encompasses the forty houses surrounding you. Also included as your neighbours are those with whom you travel and so we are commanded to take care of them. This right was emphasised so much that the Holy Prophetsa said he thought that perhaps neighbours would be included amongst the prescribed heirs. In fact, the Holy Prophetsa went as far as to say that a person from whom his neighbour is not safe cannot be classed as a believer or a Muslim. Another commandment of Islam for the well-being of others requires all parties to help and support one another in fulfilling the duty to help the weak and vulnerable rise and improve their status. Thus, in order to fulfil its role and to implement these teachings, the Ahmadiyya Muslim Jama’at is providing primary and higher education in poor and deprived parts of the world. We are building and running schools, providing stipends and funding scholarships for higher education so that those who are deprived can get to a position where they are able to stand upon their own two feet. Another commandment of Islam is that you must fulfil all of your pledges and covenants. This includes all promises that you make with one another and also requires that a Muslim must fulfil the pledge of loyalty that he makes to his country as a citizen. This is something that I spoke about earlier. These are just a few points I have mentioned to demonstrate to you the extent to which Islam is such a compassionate and loving religion. It is a matter of great sadness that with the same force that Islam teaches and counsels peace in the world, the opponents of Islam or those who are unacquainted with its true teachings, are raising unfounded allegations against it. As I have said, in this era, the Ahmadiyya Muslim Jama’at is propagating and displaying the true message of Islam. In light of this I would request those who raise objections against Islam on the basis of the actions of a minority of Muslims, to certainly question and hold to account those individuals, but they should not use such unjust examples to defame and discredit the true teachings of Islam. You should not consider the teachings of Islam to be dangerous or a threat to Germany or to any other country. You should not be concerned about whether or not a Muslim can integrate into German society. As I have already said, a distinction of Islam is that it teaches Muslims to adopt all good things and so there is no doubt that Muslims can integrate and live within any society. If somebody does something contrary to it, he is a Muslim by name, but not the follower of the true teachings of Islam. Certainly, if Muslims are asked to do something that is not right or are told to disregard the instructions of the Holy Qur’an relating to the principles of modesty, the sanctity of the religion or to act against righteousness, then they cannot do so. However, such matters are not a question of integration, but are actually about personal religious freedom. The violation of religious freedom is not only a question for Muslims alone to stand up against, but in fact all sincere and decent people stand up and speak against this and openly declare that no government or society should interfere with personal religious rights. It is my prayer that Germany, and indeed every country that has become a home to people of different nationalities and cultures, display the highest standards of tolerance and respect for each other’s feelings and sentiments. In this way, may they become standard bearers for those who display mutual love, affection and peace. This will be the means for guaranteeing the world’s permanent peace and security, so the world can be saved from the destruction that it is heading towards as a result of a complete lack of mutual tolerance.